Love your feet, treat your feet... Discover the centuries old herbal foot treatment for your daily foot care! This ancient foot treatment has been practiced throughout the centries for relaxation, recreation and therapy. Our feet play a fundamental role in our overall health and wellbeing. This formula helps accelerate foot blood circulation and prevent foot problems. It also helps sooth away stress, unknot tense and aching muscles, improve sleeping qualities. It helps alleviate the pressure and tension that the physical body may accumulate from day to day living and keep the physical body in a balanced state to aid awareness. 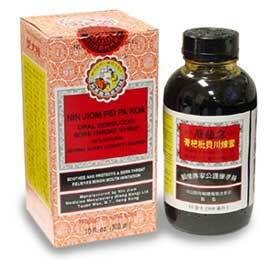 Safflower (Hong Hua) invigorates the blood, helps dispel stasis and alleviate pain, also eliminate toxic swellings. Sophora root (Ku Shen) helps clear heat and dry dampness, disperse wind, disinfect and stop itching for damp toxin skin lesions or infestations with chronic itching, seepage and bleeding. Infuse one bag of Foot-reflex Bath Soak in boiling water for 5 to 10 minutes, when the temperature suits, soak your feet in for 20 minutes. Gentle massage is recommended afterwards. Once every night before going to bed. Flos Chrysanthemi Indici (Ye Ju Hua). 30 grams x 10 soaks.